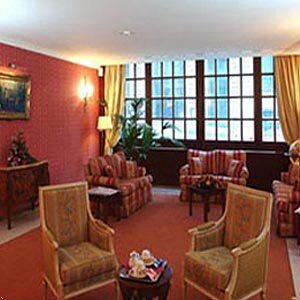 The hotel Hesperia Grand Place is ideally located, next to the beautiful grand place and important symbol in the city where guests can enjoy walking and sightseeing. Ideal for shopping and museums, all of them close to the hotel. Nice restaurants awards with 2 and 3 stars available to enjoy a superb meal in the city. Le Cigne This is a 2 stars Michelin guide. Its a very nice restaurant near the hotel. Comme Chez Soi This is also a 3 stars Michelin guide and is also located next to the hotel. Grand Place Dimensions Length - 7.50 metres Width - 4.9 metres Height - 2.6 metres Maximum Theatre Style Capacity - 24 Maximum Classroom Style Capacity - 14 Maximum Boardroom Style Capacity - 14 Maximum Cocktail Style Capacity - 39 Maximum Banquet Style Capacity - 18 The room does not have windows with natural daylight that cannot be effectively blacked out.